Samsung seems pumped up and it has already rolled out Android Oreo Beta in 3 different batches. 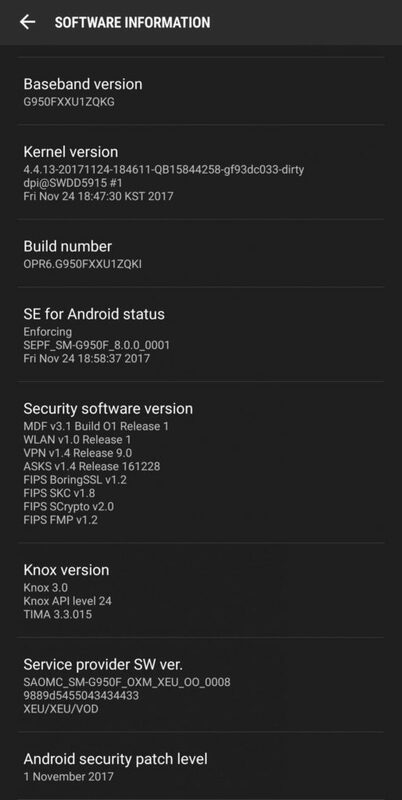 The latest third batch of Oreo for Galaxy S8(plus) started seeding a day ago. It came with the build numbers G950FXXU1ZQKG and G955FXXU1ZQKG. However, the update brought along some bugs that would not allow some Apps to open when left unused for some time. 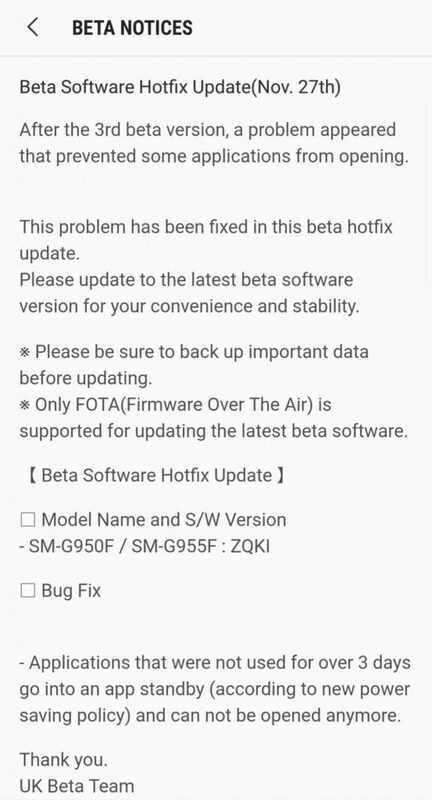 So, Samsung is currently rolling a hotfix update for 3rd Oreo Beta that comes with build number G950FXXU1ZQKI and G955FXXU1ZQKI. This will successfully patch up the bugs and fortify the devices. This debugging update is hitting the devices that have signed up for the Beta program in the UK. Since the Beta rollout was done over US, UK, and Korean regions this patch should drop by the mentioned regions gradually. This particular update is exclusively for plugging the hole in the 3rd Beta of Android O. It doesn’t bring anything else with it. Already the Beta update came loaded with November 2017 security patch. Download The Hotfix Update For Android Oreo Beta 3rd Batch and Fix App Standby Bug. The patching update is rolling over-the-air(OTA) and is only downloadable as such. So, your device will automatically grab the hotfix patch when it rolls in depending on your region. You can also manually check for its availability on your device. Go to your S8/S8+ Settings > About device > System updates. Download the update by following instructions on the screen. So, if you have signed up for the Galaxy S8(plus) Oreo Beta Program then watch out for this hotfix update and patch your devices. Also, stay connected with AndroidSage and follow our social media pages for all latest news and update on Android 8.0 Oreo for Samsung Galaxy S8(plus).